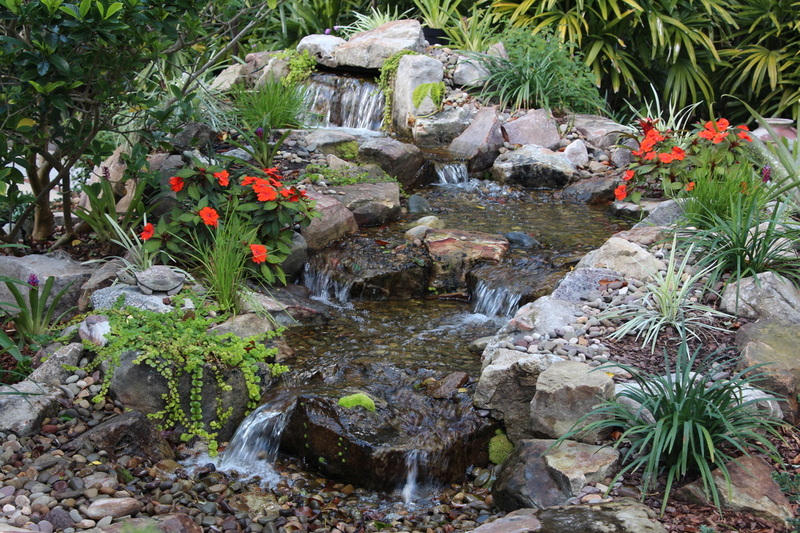 Tropical Water Gardens specializes in building natural EcoSystem Ponds and Waterfalls in Central Florida. We are a Master Certified Aquascape Contractor. 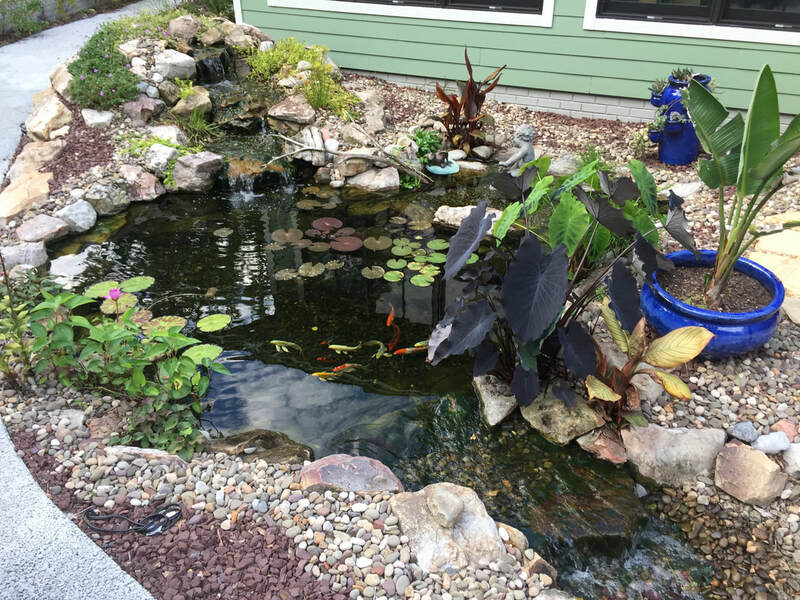 Let us create a Tropical Paradise right in your own backyard... ﻿with our custom designed water gardens featuring natural ecosystem ponds, streams, waterfalls, pondless waterfalls and decorative fountains. Enjoy countless hours listening to the peaceful sounds of water cascading over your own waterfall and running through a rock-strewn stream... Or watching exotic koi and other colorful fish swimming peacefully in your pond. All of our water gardens are one of a kind... custom designed and expertly installed just for you. Tropical Water Gardens is family owned and operated. We offer it all... from in-house design to complete installation. Our professional, helpful team will assist the customers who like to do-it-yourself; come to your home for consultations; or design and install it for you. All of our ponds are created using the Aquascape system to create self contained ecosystems. Aquascape believes in a naturally balanced environment and uses a proven system to create this. We have installed many beautiful water features within Victoria Gardens. Check out this showcase to see what would be possible in your screen room or yard. Click Here! Tropical Water Gardens attends Pondimonium 2018 advanced training in Chicago Illinois August 22-26, 2018 at Aqualand, Aquascapes headquarters.​ This yearly event draws Aquascape contractors from all over the world for advanced training and networking with other pond contractors. Here are some highlights from the event. Tropical Water Gardens along with Greg Wittstock the Pond Guy, Brian Helfrich and Chris Hanson from the Pond Squad built a 6'x8' ecosystem pond in Deland Florida for Jennifer Lynx of Solid Gold Aquatics on January 25, 2018. The entire build was documented and featured in Solid Gold Aquatics VLOG. This is a great video to see how an Aquascape Pond is built from start to finish. The team explains each step of the way as it is being built to give you an in-depth look at how an ecosystem pond works. We where honored again to be part of a team of Aquascape Contractors from around the nation helping build a second turtle pond for the Chelonian Research Institute in Oviedo Florida. The institute is dedicated to the study and conservation of turtles and tortoises of the world. The Institute was established in 1998 by Dr Peter Pritchard and features a research facility, library, offices, museum, residence for visiting scientists and a sanctuary. His institute’s collection of turtle and tortoise specimens has resulted in more than 13,000 specimens and is the most comprehensive in existence, with 100 percent of genera and about 95 percent of living species being represented. 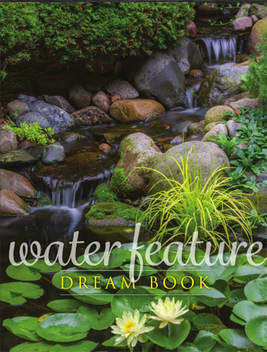 Beautiful pictures and many examples of Aquascape Decorative Water Features, Waterfalls and Ecosystem Ponds are featured in this online book. Can you visualize one of these in your yard? You can almost hear the water in the book!